NexDim caught up with renown journalist of Douala based TV channel LTM TV for an upclose interview about her career exploits and practical ethics in the noble profession of journalism and mass communication. Her eloquence is what blows me off ! Who is Amy Banda ? Amy: Amy is an incredible,energetic, and ambitious young woman who laboriously struggles to make each day full of progress and achievement. A three year old practising Journalist at a Douala based private TV station Ltm TV, Amy tries as much as possible to keep her life in order (though one can never say perfection is of this world) so as to make every moment full of life & enthusiasm. Amy is one workaholic that works so hard on her craft and even in tears at times will not stop, I mean never stop nor retire till she completely finishes what she started. Owing her existence to GOD Almighty through the love of her parents, Amy BANDA loves all, loves every human being but ultimately disgrees when tricky ideas find their way into the picture. 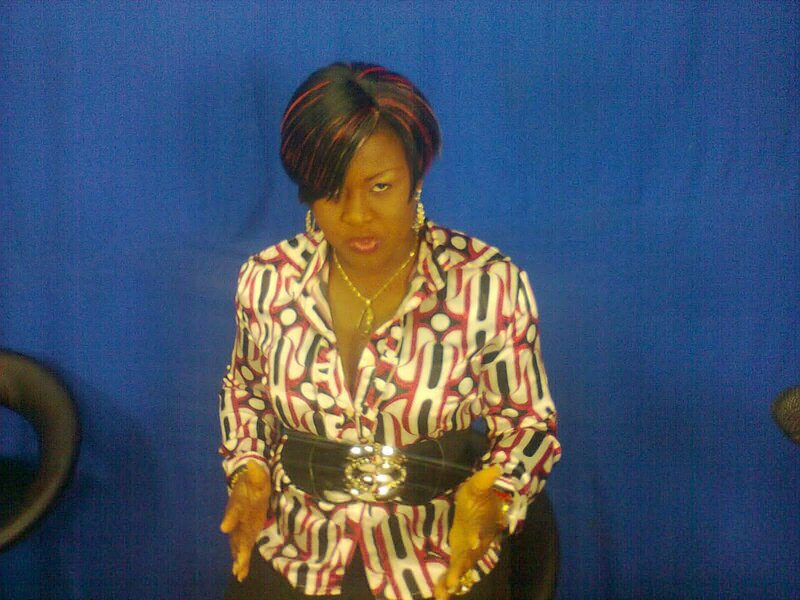 Why did you take the bold step to venture into entertainment? It’s daring ! Amy: Journalism is informing the people around and afar of current events in the absolute respect of the professional norms and ethics. This means I am compelled to inform,educate and entertain my audience. Taking into consideration the crisis we face in most African countries today with some people accomplishing their egocentric ideas,I thought that venturinginto the entertainment industry will be the only way of reassuring Africa that tomorrow will be bright with better offers.I first of all cheer them up with funny jokes,entertaining and exciting shows that will make them laugh, forget about yesterday,and try something new for a better tomorrow. Describe your journey to being a refined broadcaster. Amy: First of all,I must thank you for the Compliment. From Childhood I had always enjoyed my dad’s seriousness over work and Anne’s eloquence when she presented the eye opener ‘Women and Development’ on the CRTV enlightening women of their rights on certain issues.I took interest in the noble profession and always said to myself,I will be better someday,Just need a chance.Embedded in my blood stream I nurtured the broadcast spirit,while yet watching foreign channels like the CNN and BBC to widen understanding cope and be like my colleagues of these foreign TV Stations. If they weren’t before,they are joining me in my journey far beyond the sky.To tell you the truth,Mum would have wanted me to become a pilot or a doctor.As for Dad,though I have always been his Queen, I am not so sure about what he would want to do for a living because of his so reserved nature. Amy,who is your role model in the entertainment Industry? Amy: Oprah Oprah Oprah and only OPRAH WINFREY. She is such a bloody creative,ingenious personality whose shows are always inspiring. Her passion for ambition sets you on track always. What are the ethics of a good presenter? 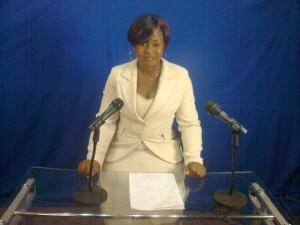 A good presenter must have the major P’s embedded in his/her bloodstream: Passion,personality and Presence. A good presenter must be able to improvise when the Director goes off track and even adlib in certain cases so that there is no dead air. And that doesn’t in any way means a good presenter should say rubblish on air to fill space or prevent dead air. Its awful to have dead air on radio/TV and even worse when one says adamant nonsense just to avoid dead air. A good presenter must be very vigilant because information can come into the studio at the last minute,delivery capacity must not change. If the studio is on fire,your smile and professionalism must always cover the inside mess. What are the Challenges you face when you are on set?